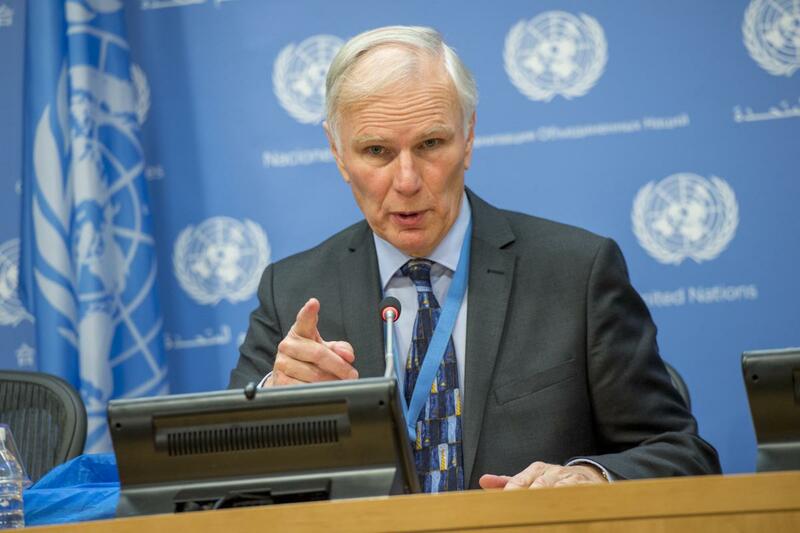 Alston’s report to the U.N. Human Rights Council draws on his visit to the United States in December 2017, where he conducted community consultations in ten impoverished locations in Alabama, Georgia, California, West Virginia, Washington, D.C. and Puerto Rico. Alston also received more than 40 advance submissions from NGOs, academics and activists on the subject, including CESR’s Fiscal Impoverishment in the United States, which forewarned that the administration’s regressive tax plan would deepen poverty, along with racial, gender and economic inequality within the United States and worldwide. The Special Rapporteur’s report reflects and confirms many of the concerns raised in CESR’s submission on the alarming implications of the tax cuts for human rights and inequality. Alston reports that the United States has the highest rate of income inequality among high income countries, a longstanding trend that has been actively exacerbated by “aggressively regressive redistributive policies,” such as the recently enacted tax legislation. The controversial changes involved $1.5 trillion in cuts which overwhelmingly benefit the wealthiest 1 percent, at the expense of the already threadbare social safety net that fails to fulfill basic needs for the United States’ most impoverished citizens. “For almost five decades the overall policy response has been neglectful at best, but the policies pursued over the past year seem deliberately designed to remove basic protections from the poorest, punish those who are not in employment and make even basic health care into a privilege to be earned rather than a right of citizenship,” affirms the Special Rapporteur. Alston notes that the rising debt of the United States, due in part to the latest tax reforms, has been used to justify proposals such as a 30 percent cut in the Supplemental Nutrition Assistance Program (SNAP) funding over the next decade. Alston explains how poverty affects disadvantaged groups in the United States in dramatically disproportionate ways. African Americans are 2.5 times more likely to be living in poverty than white Americans and their infant mortality rate is 2.3 times greater. Equally shocking, in 2016, 18 percent of American children (13.3 million) lived in poverty and the overall infant mortality rate was almost 50 percent higher than the OECD average. Alston also highlights a disturbing trend of the criminalization of homeless people in many cities, where they face warrants, fines and incarceration for unavoidable “quality of life” infractions such as sleeping or urinating in public. Human rights deprivations in the United States coexist with grossly unfair privileges for corporations and the wealthiest citizens, who pay some of the lowest tax rates, avoid taxation by hoarding their wealth offshore and often draw profits from financial speculation rather than contributing to the overall wealth of the American economy, according to the report. The Special Rapporteur echoes the argument made in CESR’s submission that the lopsided tax cuts are also fueling a global race to the bottom, as the newly lowered U.S. corporate tax rates—along with the uniquely opaque U.S. financial system—will have negative spillover effects in poorer countries by further limiting the capacity of other governments to raise the revenue needed to ensure basic social protection and meet their human rights obligations. This kind of competition has also been deemed inconsistent with human rights by UN treaty bodies. Alston’s report pointedly recommends that the U.S government and broader population “get real about taxes,” ceasing the politically motivated demonization of taxation and the shunting of revenue burdens to the poor in the form of fees and fines paid to the justice system. “What extreme inequality actually signifies is the transfer of economic and political power to a handful of elites who inevitably use it to further their own self-interest, as demonstrated by the situation in various countries around the world. While the poor suffer, so too do the middle class, and so does the economy as a whole,” the report concludes. The Special Rapporteur’s report illustrates a noticeable shift among international human rights oversight mechanisms toward increasing their engagement with issues of economic inequality and the role that unfair tax policy plays in deepening it. Extensive media coverage of the report and Alston's U.S. visit also shows that the general public is avidly interested. For these reasons it is important for civil society to continue engaging with these special procedures, given the unique role they can play in investigating human rights on the ground, and amplifying civil society concerns. Tax competition and corporate tax avoidance "inconsistent with human rights"